The paper deals with one aspect of the external dimension of EU energy security, namely the question of diversification of the natural gas supply in the case of import dependence. The diversification of natural gas imports plays a specific role, as it depends on the capability and acceptability of new transport routes. The aim of this paper is to create a methodological framework for evaluating individual variants of the diversification of pipelines and suppliers by using quantitative methods. For the comparison of gas pipeline variants, six criteria were chosen (annual gas pipeline capacity, the contract price and margins negotiated with the natural gas producer and transit states, the remaining available natural gas reserves in the source country, political and security stability of source countries, the number and political and security stability of transit countries, and energy density of natural gas). From the criteria an index was constructed. This makes it possible to compare alternatives while taking into account the political and economic dimension in the planning and implementation of transport networks. 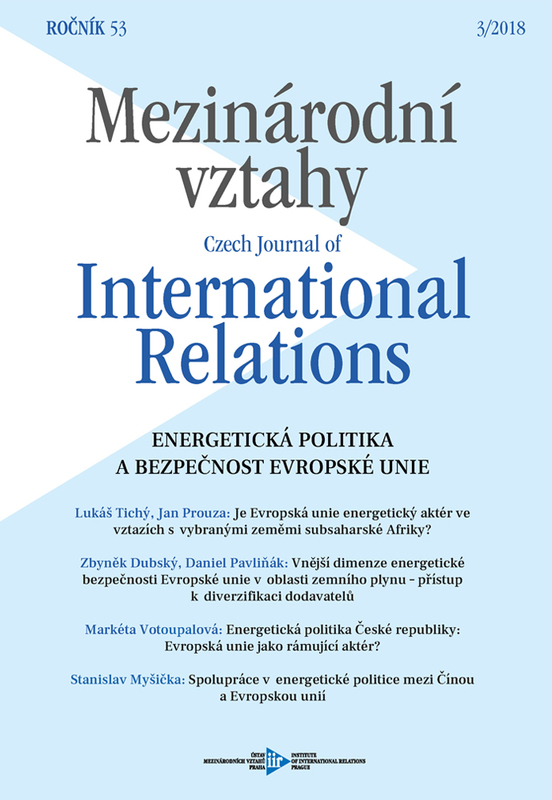 born 1974, is an Assistant Professor at the Jan Masaryk Centre of International Studies at the Faculty of International Relations, the University of Economics in Prague. He graduated from the International Business program at the University of Economics in Prague, and obtained his Ph.D. in International Political Relations from the same university. He specializes in security issues, including their impacts on practical security measures, especially in Europe, and he also specializes in the European integration process. born in 1994, is a Master’s student of in the International Business program at the Faculty of International Relations, University of Economics in Prague, and also in the International Business Realities program at IAE, Université Jean Moulin Lyon 3. He got his bachelor’s degree in International Economic Relations – Diplomacy at the University of Economics in Prague. Academically he focuses on quantitative methods in energy security and the links between energy sectors and economic development.